Dull or dry skin and rashes? These are all symptoms of chronic inflammation, a serious health condition caused by your immune system constantly having to fight off toxins and allergy triggers. One of the biggest causes of chronic inflammation is gluten! Start feeling healthier and living better with my ‘Mastering a Gluten Free Diet’ program. Gluten is a protein found in SO much of what we eat and drink. Healthy digestion – no more bloat, gas, constipation, and feeling weighed down! Energy and vitality – you can finally enjoy activities you’ve been missing out on! Strong immune system – no more colds, sniffles, allergies! Mental clarity – feeling sharp, alert, and ready to take on the world! By Going Gluten Free, you can take control of your health and experience a complete rejuvenation! With this amazing program, you are set up to be successful! A 23 page eBook that includes everything you need to start you on your journey to take care of your body, eliminate inflammation and repair your gut. 12 mouth watering, gluten free, nourishing recipes to help make it super easy for you to eat healthy and support your body even if you live a fast paced lifestyle. Suggested Meals – A simple plan so you don’t have to wonder what to eat. A handy, easy to follow Shopping List – Preparation is the key to success. The planning is done for you. I know you are busy, especially this time of year. Your shopping list is one for you. A gorgeous personal food dairy to help track your journey. Listening to your body is so important. This handy diary will help track your habits and highlight where gluten gets you, enabling you to make long lasting changes to a more healthier you. ‘How To Go Gluten Free with Ease’ – helping to make it as easy as 1,2,3 to go gluten free forever. Print it out and pop it on your fridge. 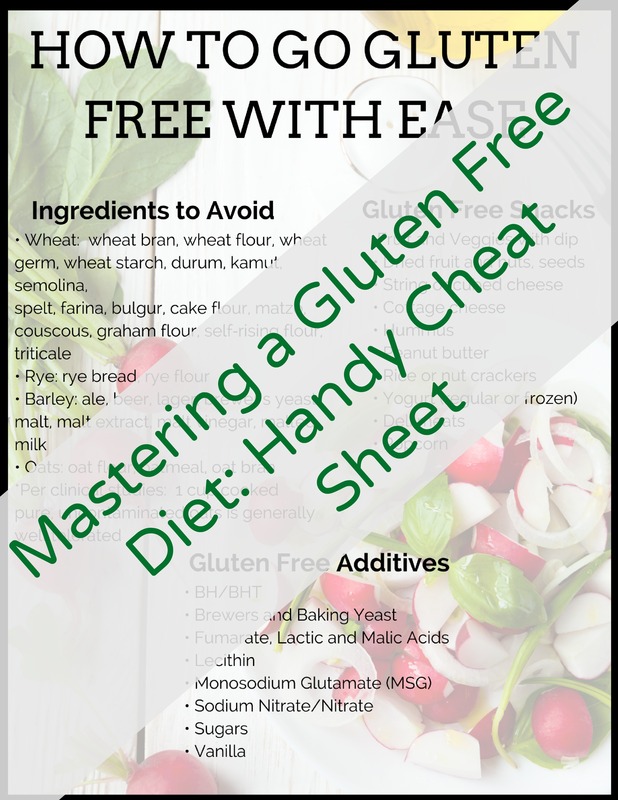 Tell us what you thought about our Mastering a Gluten Free Diet resources?